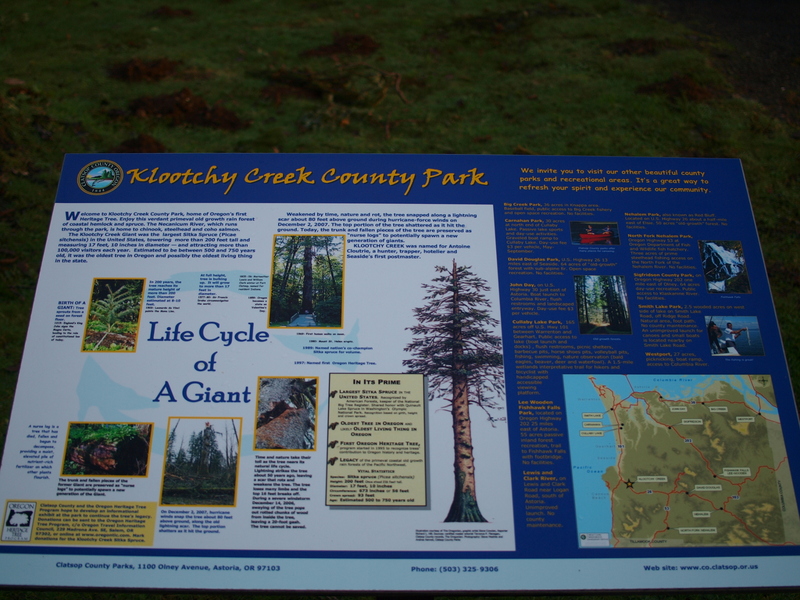 Before 2011 Klootchy Creek Park in Oregon was not specifically called out by name. 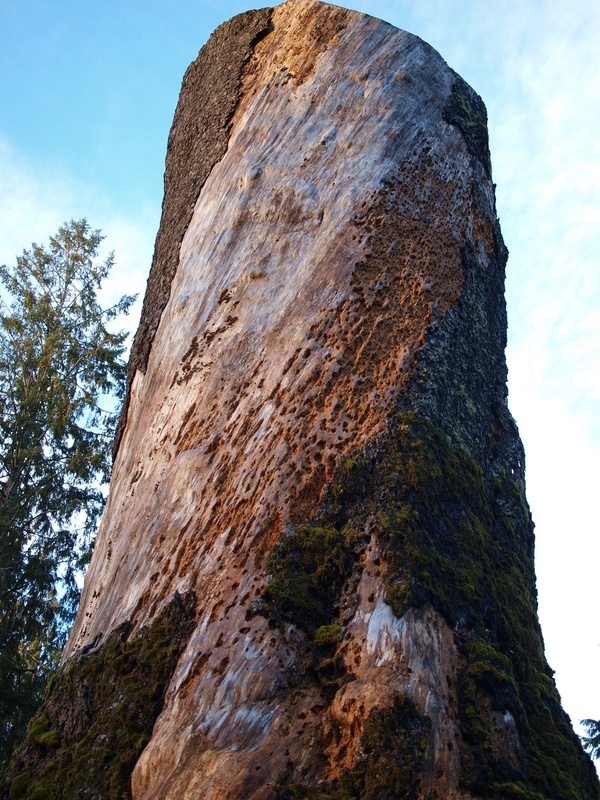 Instead it was the “Largest Sitka Spruce in the World” wayside. 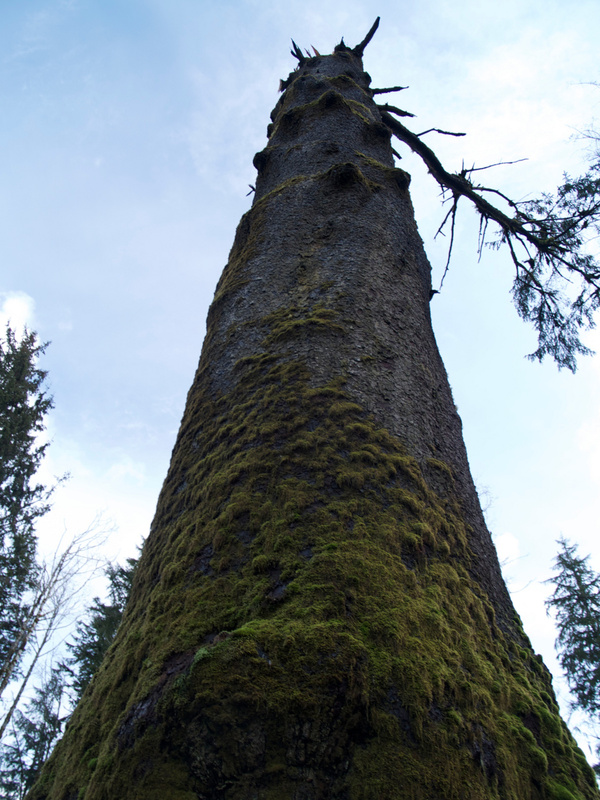 A single lane bridge over the creek led one to a view, at the time, of the tallest Sitka Spruce Tree in the world. Unfortunately over the past decade repeated disasters has cut the tree down to size. 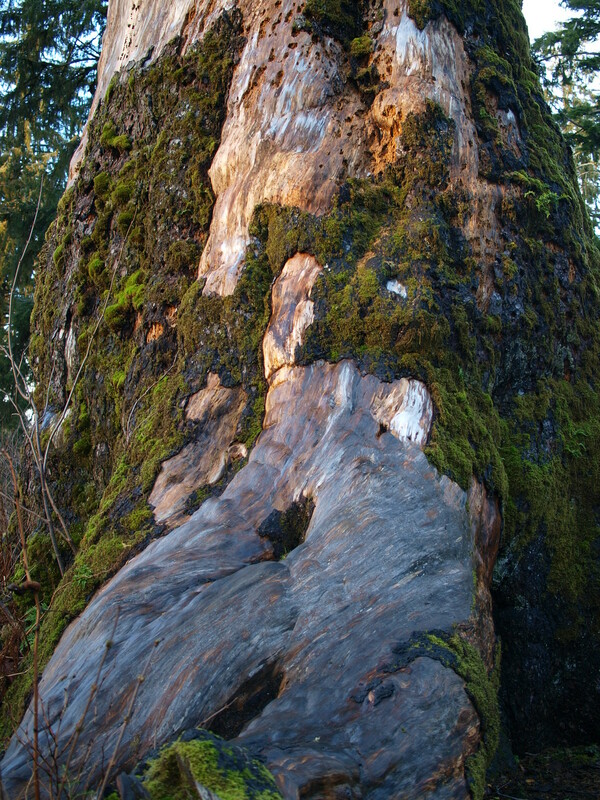 In 2006 a December wind storm caused a lightning damaged portion of the tree to fall. 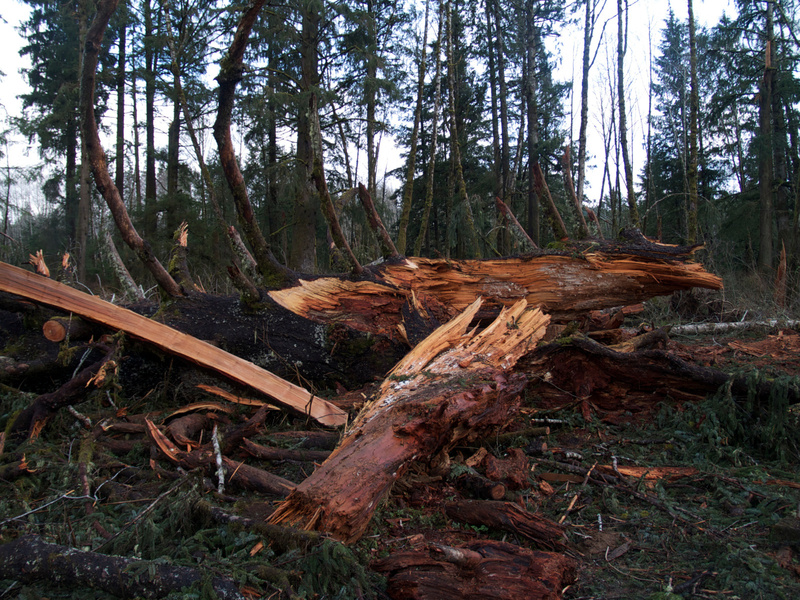 Almost exactly a year later, on December 2nd, 2007 a windstorm toppled the tree leaving only 80 feet of trunk. These pictures were taken just a month after the new damage. In February 2011 the remaining snag was cut down to 40 feet to reduce future concerns over more falling debris. The remains were left to remain as seeds for future trees. The more interesting part of this area is it’s history. The name, Klootchy has been misspelled over the years. It’s original form was Cloutrie, named after a local settler. “In April 1899 a boy found a body on the Sugar Loaf Mt. Trail. It was that one of two timbermen from the east who hired Antoine Cloutrie to help lead a group of 4 Timber Cruisers. All were found dead in different locations on the trail. Cloutrie’s body was found last, sitting up on a log with a can of beans. Autopsies pretty well established that they had all died an agonizing death from Ptomaine Poisoning. Antonie J. Cloutrie was born about 1832. His funeral was held on 1 May 1899. Early Clatsop history credits him with many firsts. He and his wife Helen Lattie Cloutrie operated Summer House, the first resort hotel in Seaside. From here in 1871 he served as Seaside’s first Postmaster. Many descendants of his are still in the area. In addition there is another sign talking about the Sitka Spruce’s life cycle.